Alessio Gentile is an Italian artisan who, working in the Restoration and Craftsmanship Association Laboratorio Ennio Gentile, had the idea of creating a 100% sustainable tool which can amplify the music reproduced by our smartphone. Its name is “Filofono” and below you can find the short interview we had with its creator. Keep on following our Youth Design Day participants here and on Facebook! Do not miss the other projects which will fly to Osaka! THE YOUTH DESIGN DAY IN JAPAN 2018: INCOMING NEWS! From next Monday, you will discover the names of the designers whose projects have been selected to participate to our contest The Youth Design Day 2018 in Japan! Their works will be officially presented during the Italia Amore Mio! festival in Nagoya. The names, together with the projects concept, will be showed every week. All the designers will be presented with their works through video-interviews, images, and lot of other contents. Lightness is Jazz Wave, from Milan “Switch ON” continues internationally for summer, next stop Malta. 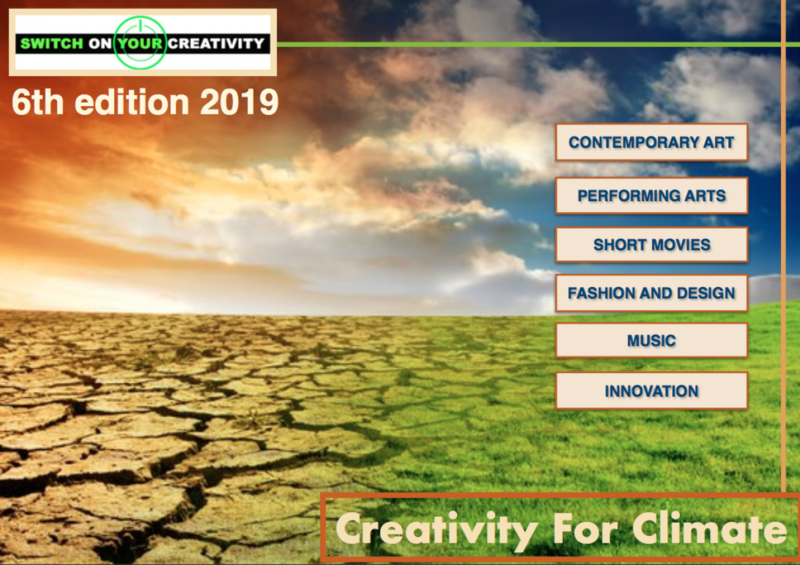 Summer is coming and Switch on Your Creativity 4th edition is ready to introduce a new serie of life performances as main activity for music section of our incubator for youth creativity. Thanking Garden Blaze Talents Management Studio in Milan, as sponsor, we are glad to announce the prosecution of open call for musician for special project that will involve italian performers into three months schedule in Malta starting from July 2017. In cooperation with most important venue for Live Jazz in the island we are going to introduce musicians and singers who will promote italian creativity on international scenario joining high level’s live music community. As incubator for youth participation into cross cultural artistic projects we are glad to offer a concrete opportunity for summer time. It doesn’t mean only a job placement but it’s also the way to receive promotional services and post-production’s support as professional service offered for free because managed as Switch on Your Creativity’s official contents. As part of our incubator’s activity wet will follow the performers during their show and we’ll do our best to spread the voice about their involvement. The bridge Milan – Malta represents a great occasion for a meeting as #ereditàexpo #expolegacy after Milano EXPO 2015 and a great welcome for more intense cultural cooperation in terms of participation and mutual cooperation. We would like to remind that on 2018 Valletta it will be European Capital of Culture and we are sure that introducing this important event with the right step means a successful strength point for both of us. If you wanna join to our Jazz in the Air in Malta – Summer Jazz please contact directly Garden Blaze Talents Management. As we mentioned in the previous post the third edition of Switch on Your Creativity is going to get conclusion in the Gala Night on 12 of October 2016 but our incubator for youth creativity in Milan is collecting already lot of enthusiasm and proposals for the new edition. That’s why we decided to invite some special guests during the Gala Night to celebrate special performances that will introduce new perspective of creative projects between Europe and Asia for the next edition 2017. For Music and Show section we are very glad to present first ever in institutional event in Milan the music performance of Redsky with “Butoh Dance Contribute” by Marek Janson Islaib. Switch on Your Creativity examined contents and creative profile of this italian artist and considering the large number of followers who are constantly appreciating videos and online performances as long as youth participation on comments and online creative campaigns boosted through Official You Tube Channel, it has been judged as innovative content for our Music & Show section. Asian Studies Group decided to support the artistic project that will see Redsky protagonist in special tour with performances in Japan. As we’ve done for other artists we’ll propose some promotional opportunities between Milan and Japan to make the artistic experience of Redsky dynamic and successful as much as possible.